Marketing automation services: how do you choose? As a B2B marketer, you are likely finding that traditional marketing methods are challenged. Prospects have learned to filter messages - and a "broadcast approach" can struggle to make an impression. And, according to research by CEB, the average customer is 57 per cent through the buying process before they first make contact with a supplier. So, assuming you can scale the barriers to their initial attention, you need to provide what they really want at this stage – informative, educational content that helps answer their questions or solve their problems. But once you have created this valuable content, how do you ensure that it’s delivering the best possible results? That’s where marketing automation services can help. In short, these technologies complement an effective inbound strategy, helping your business to successfully convert leads into customers. But be warned: they are not a substitute for great content. Marketing automation only works if your company makes a concerted effort to attract prospects in the first place, be it through search, blog posts, social media, emails or other means. 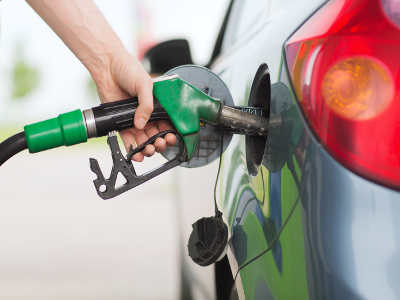 Think of the software as your engine and the content as your fuel. You need both to get anywhere - without content, software is useless; but without software, content can get lost in the crowd and its impact can be hard to measure. "Marketing automation is a category of software that streamlines, automates, and measures marketing tasks and workflows so that companies... can increase operational efficiency and grow revenue faster." The marketing automation industry is growing at a rapid pace and is in a constant state of flux. 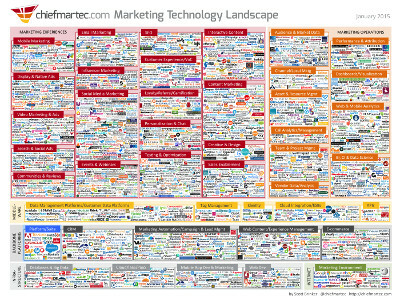 Just take a look at Scott Brinker’s Marketing Technology Landscape Supergraphic (2015). It’s dizzying to behold, portraying 1,876 companies across 43 categories. That figure is nearly double 2014’s 947 companies. What’s more, Brinker himself admits that it could be made even more comprehensive! Research by Frost and Sullivan found that the industry generated revenues of $550.7 million in 2013 – and this figure is estimated to reach $1.9 billion by 2020. The US is leading the way, with around 80 per cent of industry activity taking place on its soil. The big players – all of which are based in America - include the likes of: Adobe Marketing Cloud, HubSpot, IBM ExperienceOne, Marketo, Oracle Marketing Cloud, Salesforce Marketing Cloud. Additionally, new competitors like Act-On and Rainmaker are coming up fast. And these companies certainly don’t stand still. In 2013, Salesforce bought Exact Target who had just acquired marketing automation software provider Pardot. Also in 2013, Oracle acquired cloud-based marketing automation provider Eloqua. In 2014, HubSpot raised $125 million in its IPO. The company is yet to reach profitability, but its losses were down to $7.1million for the fourth quarter of 2014 – compared to $10.8 million in the third quarter. To recap: software can’t create your inbound strategy – but it can enable part of it. Each of the big players mentioned above vary in the services they provide, so it’s really down to you to decide which one, if any, best suits your business' needs. Oracle and IBM provide many other integrated services while HubSpot has been built specifically around an inbound marketing methodology. Venturebeat provides a useful breakdown of some of the attributes of 18 different services here. Equinet Media is an inbound and content marketing agency – and a UK HubSpot certified partner. We chose HubSpot precisely because they focus on inbound marketing. One of the great things about HubSpot's marketing automation technology is that it helps companies to bypass the media and become their own publishers; creating educational content that is aimed specifically at their target audience. HubSpot does practice what it preaches and produces an extraordinary volume of high-quality educational content, webinars and training programmes to help companies better understand inbound marketing. So technology can prove an invaluable tool in the new marketing landscape. Each business is different and that will influence how you go about choosing from the plethora of marketing automation services out there. But whatever you do, remember that no software can ever replace the fundamentals of marketing. You need to know your customer above all else. If you want to read more, HubSpot provides some great tips on how not to approach marketing automation here. Antonia is Equinet's former managing editor, writing and coordinating content for the company and our clients, including website pages, eBooks, white papers, case studies, eNewsletters and more.